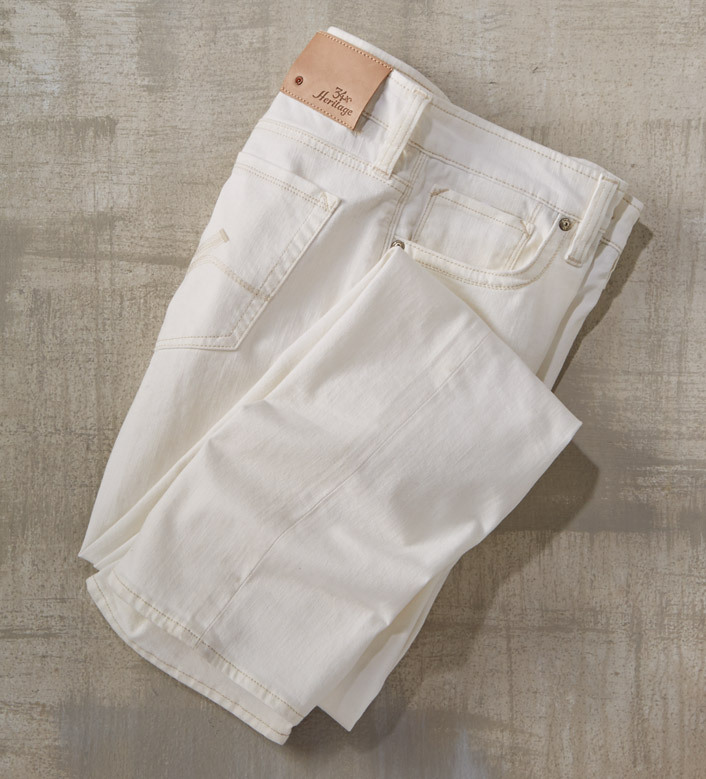 Classic white jeans, the season's must-have. Modern fit, five pockets, mid rise, straight legs. 98% cotton/2% elastane. Machine wash. Imported.